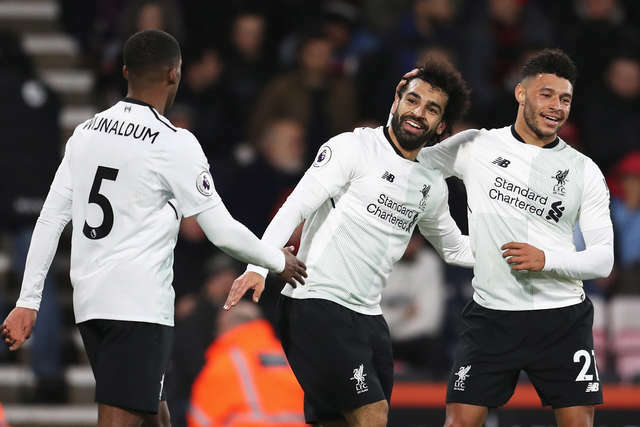 AFC Bournemouth well beaten by a unstoppable attacking display from Liverpool. Philippe Coutinho set off on a mesmeric run midway through the first half, giving Liverpool the lead in style, before Dejan Lovren made it two with a far scruffier effort following a corner. Mo Salah made it three just ahead of the break, the away side going into the break in a commanding position. 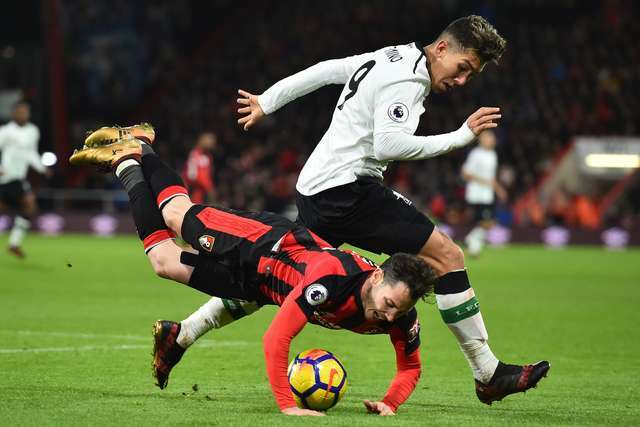 Roberto Firminho ghosted in to head home a fourth in the second half, Bournemouth unable to respond to the attacking force of their opponents. Eddie Howe made five changes from midweek, including the Cherries' entire four-man midfield, with Jermain Defoe also returning to the starting line-up following his Crystal Palace double eight days previously. Liverpool started the match on the front foot, Coutinho heading over from a cross, while the home fans were soon out of their seats when Defoe was played through, Lovren covering off the danger. The away side soon hit the post after Roberto Firmino had been fouled by Nathan Ake. Coutinho lined up the effort, right on the edge of the box, beating the wall but seeing his effort rebound clear off the inside of the post. Salah fired over in the box before Lovren fouled Joshua King on the left side of the area, Jordon Ibe's ball in easily cleared away. Ibe's next contribution was to fire in a half-volley held by Simon Mignolet, though with the next move of the game Liverpool were ahead. 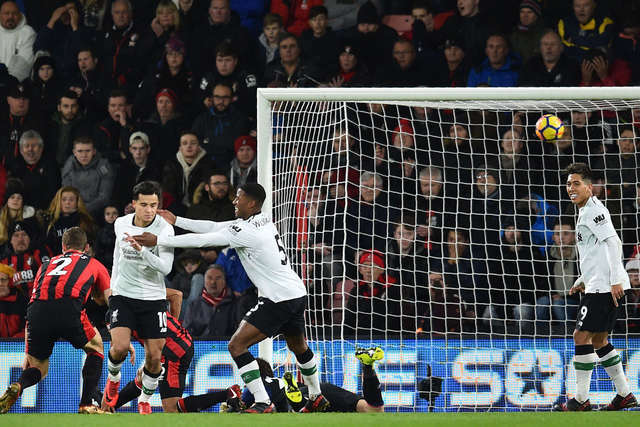 The goal was all about the skill of Coutinho who picked the ball up wide left ghosted past three Cherries men and pulled an intelligent low shot back past Asmir Begovic to open the scoring. Things went from bad to worse on 25 minutes as Liverpool stretched their led through Lovren. A corner was flicked on and with the ball seemingly dropping out of play Firmino managed to keep the ball live from on the goalline, diverting the ball back for Lovren to convert from close range with a diving header. An injury to King before the half hour introduced Junior Stanislas to proceedings from the bench. The home side thought they were back in the game when Stanislas' picked through ball set Defoe free. The striker's shot beat Mignolet but cannoned back off the inside of the post, back across the line but ultimately away. Charlie Daniels squared for Stanislas in the box, the ball agonisingly behind the Cherries midfielder, at the other end a wonderful move opened room for Salah to volley, Begovic saving well with his body. The lead was three goals before half time, Salah adding to his seasonal tally with typical swagger. The Egyptian cut inside from the right, past Daniels and kept his feet despite Nathan Ake's attentions to finish. Ryan Fraser replaced Marc Pugh at the break, the hosts hoping for a similar impact as 12 months previously. After a delicious Defoe backheel the Scotland international had the chance to shoot but mistimed his effort into the side netting. Steve Cook replaced Daniels on 55 minutes, the left-back seeming to be carrying a knock. Defoe did well to craft space and force Mignolet into a decent save, the ball pushed away almost, but not quite, into Stanislas' path. Alex Oxlade-Chamberain became the third player to hit the upright as he struck with pace from a tight angle, but Roberto Firmino soon scored a fourth for Liverpool midway through the half. Following a throw Andrew Robertson passed to Coutinho and the Brazilian delivered a wicked cross into the area that Firmino was able to glance home from eight yards, though replays suggested the striker to have been in an offside position. Ibe's pace saw substitute Adam Lallana enter the book for a late challenge, the free-kick from Stanislas blocked away. into the closing stages and former Cherries striker Danny Ings was introduced from the bench, almost making an immediate impact as he hit the side netting from Lallana's pass. However, the goalscoring had come to an end with the Cherries well beaten at Vitality Stadium.